Get your holiday off to a fun start with a visit to the best Manchester Airport bars around. Whether you're after classy cocktails or some summer spirits, there's plenty of beverages to get you in the holiday mood. 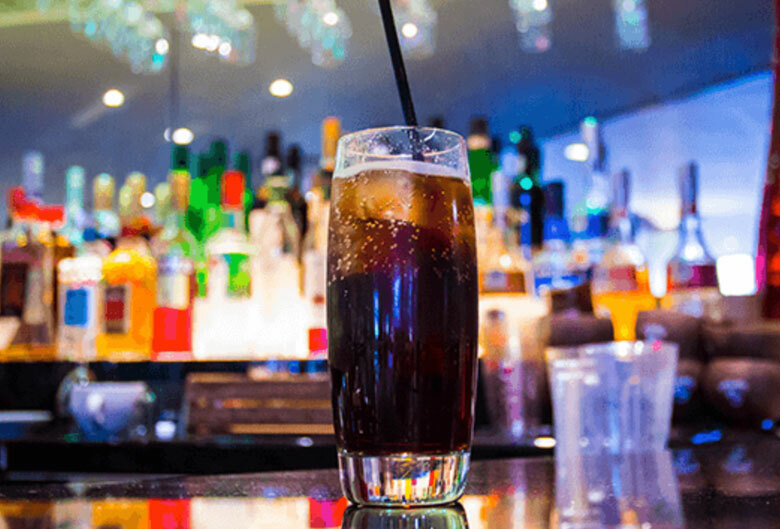 The swanky Mason's Bar at the Manchester Hilton has stylish decor that boasts a rustic yet contemporary style. You can unwind in front of the TVs on a comfy leather chair. Expect a stellar service from the friendly and professional staff, who do their utmost to ensure you have an enjoyable experience. The bar serves Costa Coffees as well as special teas - which can be enjoyed in front of the fireplace. 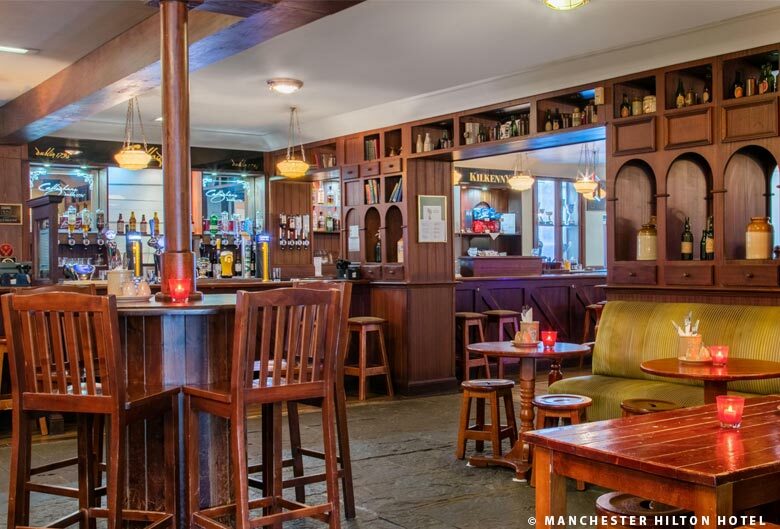 There's also an extensive collection of beer, wines, spirits and cocktails which are available 24 hours a day. Top drink picks from Mason's Bar include: Hugo - £9.00 which is a mix of St Germain elderflower liqueur, Prosecco and soda with ice; Passion fruit Martini - £9.00 which is a blend of ABSOLUT Vanilla Vodka, Passoa, passion fruit puree, sugar and lemon all shaken together and served with a side of sparkles; Amodo Pinot Noir is a silky and soft red wine with soft cherry and blueberry aromas; Sharp's Doom Bar Beer - £5.70 is the UK's best selling Casks, with sweet malt and hop flavours. There's also tasty light bites available, such as mini beef sliders, cod fillet and chips, pizza, burgers and much, much more. Meals and light bites cost £12.00 on average. Mason's Bar is located at the Hilton Hotel and is a 4 minute drive from all terminals in all traffic. The Crowne Plaza at Manchester Airport has two bars: The Lobby Bar and Callaghan's Irish Bar. Callaghan's has a quaint atmosphere with wooden benches, laid-back music and great vibes. Expect pints of Guinness as well as the usual pub classics when it comes to food, which are served all evening. Callaghan's is open from 4.30pm to 11.30pm. The Lobby Bar is super sophisticated with a lovely seating area that overlooks the restaurant as well as ultra comfortable sofas. The Lobby Bar has everything from delectable bottles of red wine to chilled glasses of lager. The Lobby Bar is open from 9.00am - 12.30am daily. Both bars have friendly and helpful staff on hand to serve anything you fancy. Enjoy an extensive range of wines, spirits, wines, ciders, beers and lagers. We recommend Callaghan's for a more cosy and intimate experience, and the Lobby Bar for a more sociable and open environment. Callaghan's and The Lobby Bar are located at the Crowne Plaza Hotel, which is a 2 minute shuttle ride from T1 & T3, and a 4 minute shuttle ride from T2. You can also walk to Manchester Airport, which is 6 minutes to T1 & T3 and 14 minutes to T2. The Little M Bar at the Radisson Blu is a music bar with elements of Mancunian culture sprinkled throughout its decor, which can be seen with the vibrant, funky walls. The bespoke collection of unique Manchester-inspired cocktails infuse the city's colourful history with some tasty flavours. Cocktails include the Champagne Supernova (£12.00) inspired by Oasis, which features champagne, brand and bitters. There's also Melody Fair (£9.00) inspired by a Bee Gees song which has red wine, cognac, orange liqueur, lemon juice and amaretto syrup. You can also expect the cocktail classics such as Margaritas, Strawberry Daiquiris and Bloody Marys. The also serves up beers, a host of different spirits, wines and soft drinks. The bar is open from 9.30am - til late during the week, and from 10.30am - late at the weekends. If you fancy a bite to eat, lunch is served from 11.00am - 3.00pm. Dishes include salads and soup, freshly made sandwiches, pizza, hotdogs, cod & chips and more. The pizza menu is available from 11.00m - 10.00PM. 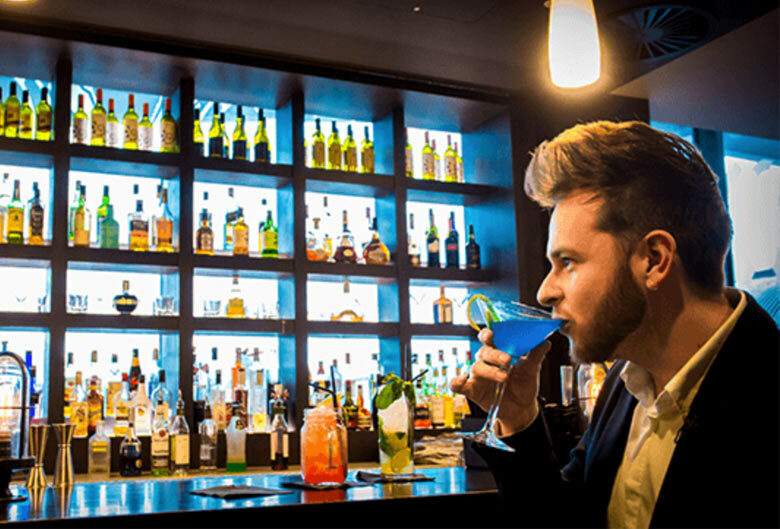 The Little M Bar is situated at the Radisson Blu Hotel, which is a 5 minute walk from T1, 10 minute walk from T2, and 15 minute walk from T3.